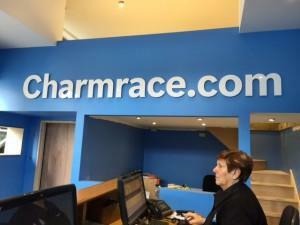 In 1985 Tony Michaelides took control of Charmrace and for over 30 years has presided over its ever growing success. 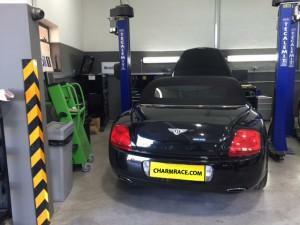 Charmrace has since made its mark within Londons automotive world and is now a respected and thriving company, famous for its friendly customer service and reliable workmanship. 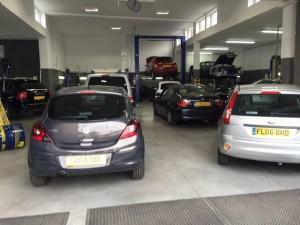 The garage has recently undergone a huge modernisation program that includes 8 ramps and a state of the art MOT bay that qualifies us to inspect not only cars, but also vehicle classes 5L & 7. 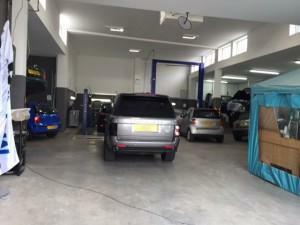 Since modernising, Charmrace has been approved as a Bosch Servicing Centre and all our mechanics are sent on regular Bosch training programs keeping the Centre up to date in this ever-changing industry. Charmrace has also gained FCA approval and we are now slowly entering the vehicle leasing and rental industry, complementing our buying and selling of new and used vehicles and our import/export department. "Excellent service. Friendly courteous staff. Love the fact that our car is collected and returned to my home." "Very satisfied with the service 100%. Honest and trustworthy. Used for 20 years now and all my family use them as well." "They were a god send. Used for over 20 years. Provides such a good service. Highly recommend."